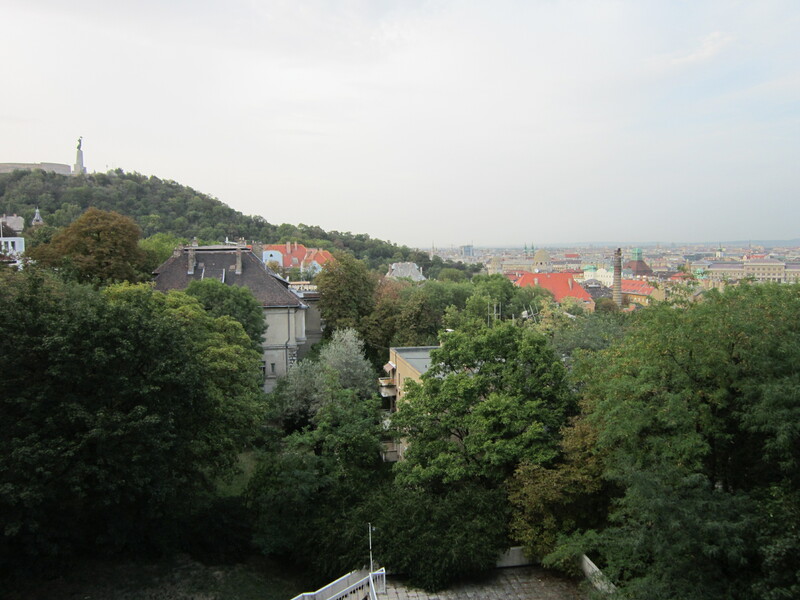 Jesse and I just moved into our flat in Újpest – the fourth district in Budapest (of which I might add is barely in the city limits – I could crawl out if I wanted to). For the past week we have been in the first district (I think). 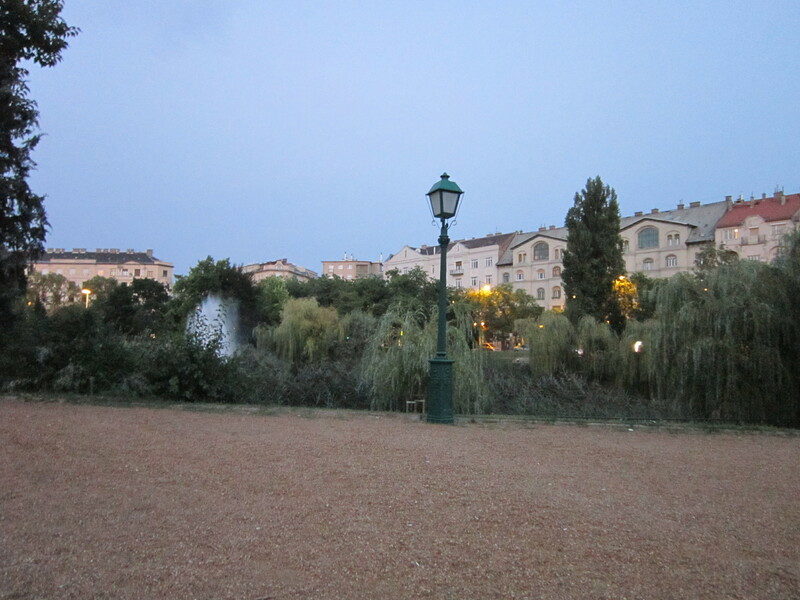 If you did not already know, Budapest used to be three cities – Óbuda, Buda, and Pest – but were connected in the latter part of the 19th century. Buda consists of hills and is on the west side of the Danube. Pest, on the other hand, is extremely flat and is on the east side of the Danube. Budapest is also split up into twenty-three districts. I have yet to memorize them. The view from my hostel window. 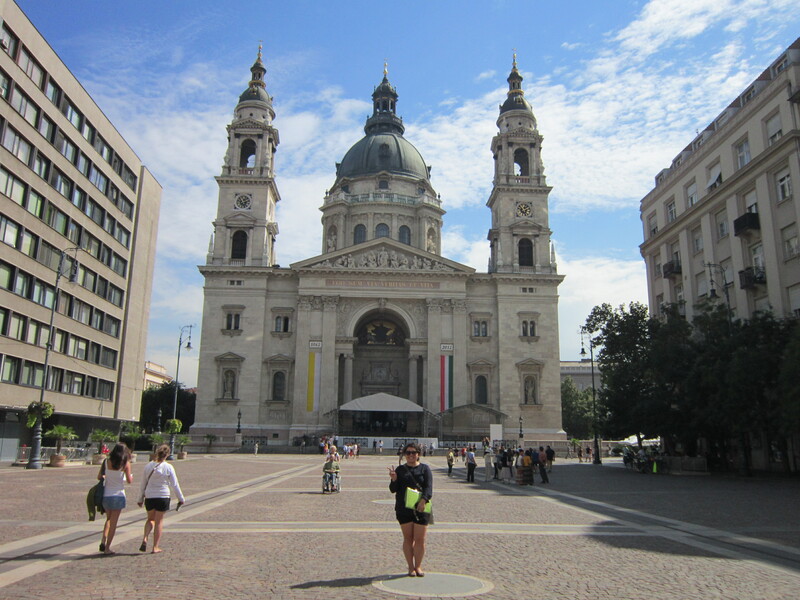 Orientation was lovely – I learned a lot about Hungary, mastered a few more phrases in Hungarian, and made several new friends. So far my experience with the Central European Teaching Program has been nothing short of amazing. Our directors, Mary and Hajni (along with some returning teachers), have basically done all of the “hard” work for me. Thanks guys! My new friends and I frequently roamed the city without a care. This type of wandering made me feel alive. Instead of having a timed agenda, we enjoyed our new city and actually lived. I find living to be such a pleasant experience. I have yet to experience the “shock” of living abroad, but I know my time is to come. I have felt almost numb since I left the United States. Let me clarify: I am not numb because I am unhappy – I think it just might still be too much to take in all at once. I am basically emotionless, yet I am so very happy. I guess I still have to sit and access my thoughts/feelings. In front of Szent István Bazilika – St. Stephen’s Basilica. Oh, and I need to stop eating gelato. But when it looks this good, how can one blame me? 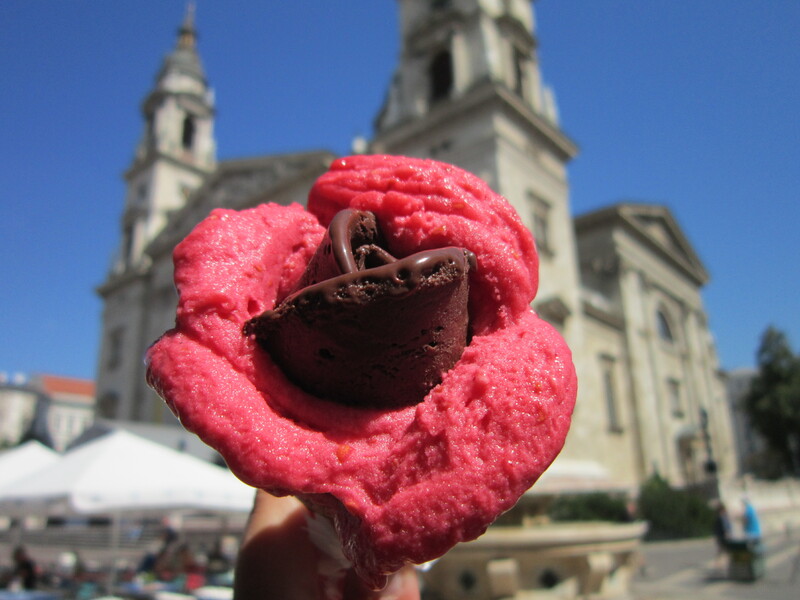 A lesson from Miss Jennifer: Gelato adds up. Stop while you are ahead. So glad you are having a top-of-the-world experience!! You are so happy, I can FEEL it!! (And you told us ^^) SO happy for you!!!! and with you!! Thanks, my dearest Gracey. I love/miss you! Honeymoon at my place? Flyers will be distributed soon. Have you looked for our summer home yet? aahaha. The shock may not come. I felt similar when I went to Hong Kong. I really enjoyed getting lost in the city. I think that calling teacher by their last names is an American thing, because Dessie called her teacher on a first name basis. For me it makes the children feel more involved if they can call teachers by their first name. I enjoyed it too, because most of the teachers were my age and I felt weird being so formal with them!!! I am super excited for you and I wish you the best of luck!! Keep blogging it is like crack for me!!! Hm, I never used my teachers’ first names. Interesting though! And thanks, Meagan – I plan on blogging for a while. Hope all is well with you and the family! Love reading how things are going. Makes us feel more connected to you. Love you baby. Thanks, Dad! Love you too. I know you would love it here.